If you start working for yourself, you must register with HMRC. You can do this at any time up to 5 October of your business’ second tax year. If you do not register you may be liable to a penalty. It is now preferable to register online. You can also register by telephone or by using the form (CWF1 – register if you are a self-employed trader) incorporated in leaflet SE1 (thinking of working for yourself?). Once you become self-employed, the tax rules are quite different from those that may have applied when you were an employee. 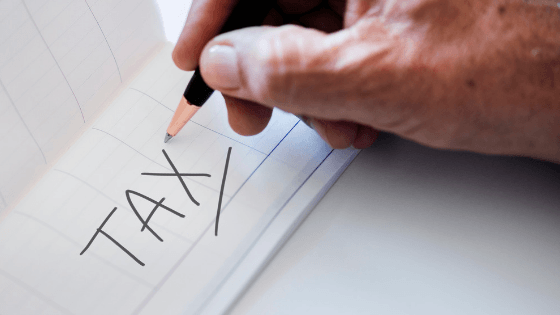 Instead of tax (and national insurance) being deducted from your earnings at source, you must be prepared to receive a bill at some time in the future. This can be an unwelcome surprise if you haven’t put enough money aside. The general rule is that the tax for a particular tax year is based on the profits of the 12 months to your accounting date in that tax year. For example, the tax for 2018/19 could be based on accounts for a year ending on various dates ranging from 6 April 2017 to 5 April 2018. Tax returns covering income for the year ending 5 April 2018 should have been submitted to HMRC by 31 October 2018 for paper returns or 31 January 2019 for online filing. The return will include a self-assessment calculation of your liability to income tax and capital gains tax. If you don’t want to work out your own liability, you should send the tax return back by 31 October 2018 or file online by midnight on 30 December 2018 if you wish HMRC to collect any tax you owe through your code, if you also receive income subject to PAYE. You can ask for this provided you owe less than £3,000. The final date for filing your 2018 tax return is midnight on 31 January 2019. Over the period 2018 to 2020, the tax return is to be replaced by the personal tax account (PTA), which taxpayers can update with their income and capital gains on an ongoing basis. Sources of income reported to HMRC (PAYE income from April 2017 is a point in case and interest paid by banks and building societies from 2018) will be shown on the PTA for the taxpayer to check and approve, rather than requiring him to submit a return. Class 2 NICs at a weekly rate of £2.95 are only mandatory if earnings exceed £6,205 a year, but they do carry an entitlement to state pension, so those with income below the threshold frequently opt to pay them. Class 2 NICs will be abolished in April 2019. Pension entitlement will then be determined by the Class 4 contributions paid. Profits between £8,424 and £46,350 are subject to Class 4 NICs at a rate of 9%. Profits in excess of £46,350 are liable to Class 4 NICs at the rate of 2% without any upper limit. Class 4 NICs are collected by HMRC and are payable at the same time as the instalments of income tax.